The Great Dorset Steam Fair ... published in the Decisive Moment. There are show rings and side stalls, market stalls and junk stalls ... modern fairground rides cheek by jowl with steam gallopers and the Wall of Death. There’s music, singing, drinking, fighting, food stalls and Ferris wheels. There are old diggers and tractors, bygones from the farm, old tools and even older spares. Flags are flying, people are building roads, cooking bacon on the fire and towing steam trains. People are playing with cranes and slews, ancient rotovators and vintage one arm bandits ... and then there’s the people ... so many people ... they’re in top hats and bowler hats, there are flat caps and neckerchiefs. Waistcoats and pocket watches, hobnail boots and clogs. 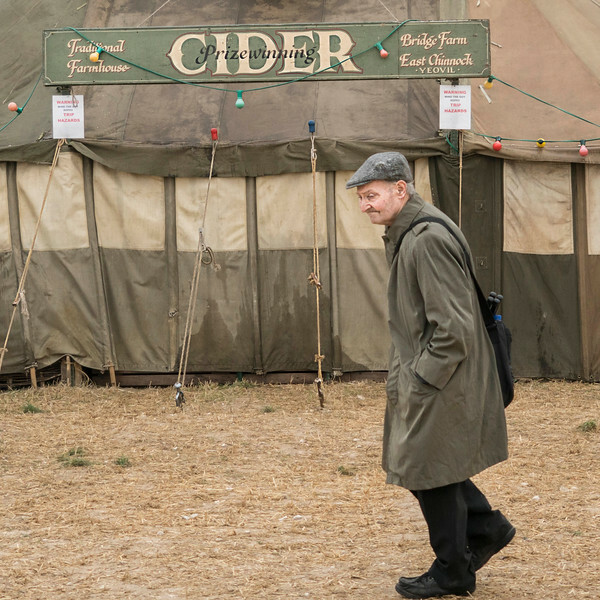 They sleep in ratty old canvas tents and vintage caravans, beautiful guilded showman’s wagons or Gypsie wagons ... barrel topped and Mollycroft. Sheperd’s huts and camper vans, new ones, old ones, even the odd one made out of a cement mixer. There’s heavy haulage, light haulage, recovery trucks, motorbikes, milk churns, models and collections of blow lamps ... there are heavy horses and monster trucks, stunt teams, vintage fire engines, birds of prey, dancing sheep and acres and acres of portaloos. 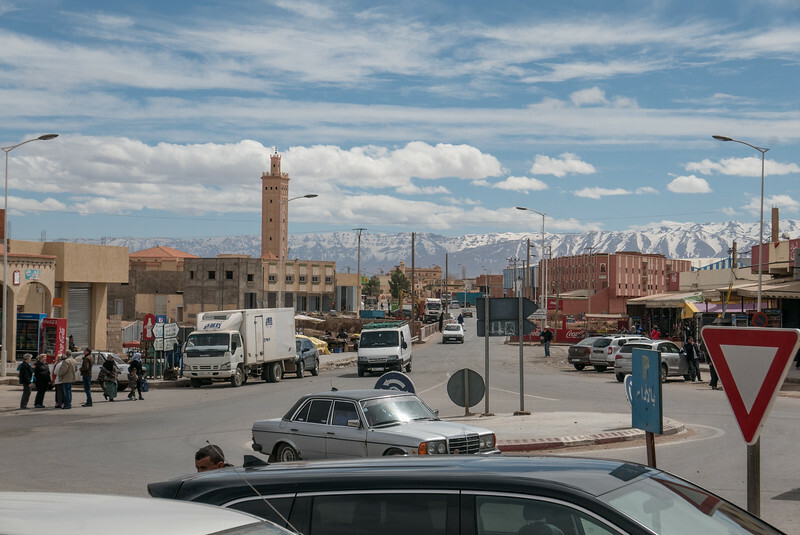 Contemporary Travel Photography; what is it? Well, to start with, it’s probably easier to say what it’s not ... it’s not about sunsets, selfies or social media ‘likes’. It’s not about those super saturated, ultra crisp looking landscapes. Its not about that picture of you so close to the edge of the cliff, canyon or crocodiles mouth that you risk life or limb ... its about something else ... its about freeing yourself from the shackles of whats expected ... its about recording the world the way you really see it. I’ve looked at a great deal of photographs, probably a lot more than your average bear. To begin with I was looking at them in order to emulate what I saw. Later on, I became a bit more critical and started to question what it was about certain images that I liked. And the thing that these ‘perfect’ photos had in common was that they were all so ‘clean’. They were uncluttered. They were devoid of ‘stuff’ ... yet my world is full of stuff. I see it everywhere. But as photographers we are trained to exclude it all, to step around it, to put it behind us, to keep the mess at our back and point our lens towards beauty. The Wedding ... I've been asked many times to shoot a wedding and the answer has invariably been 'No!' ... but this time was different. The request came like this "Chris, I have a proposal for you; can we meet up next time I'm in Dorset? 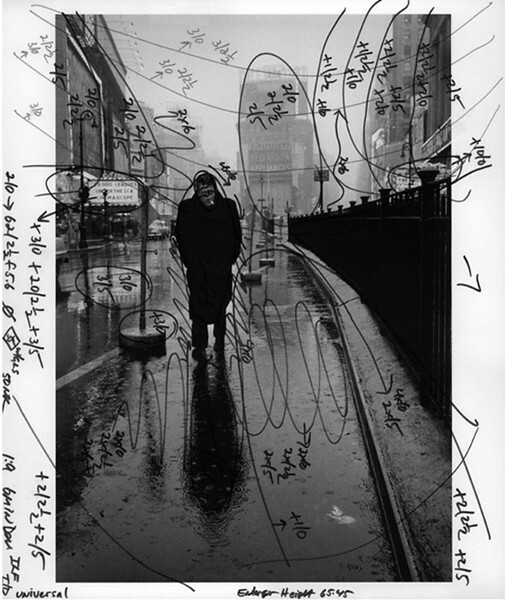 ", well, coming from a fellow photographer working in the big city, I was intrigued. Does Street Photography Really Need to be Quite so Aggressive? Street Photography has always been a 'thing', but it has only relatively recently been named as such. Once upon a time it was just 'taking photos' ... and things were much simpler then. Things weren't bound then, as they are now, by arbitrary rules. 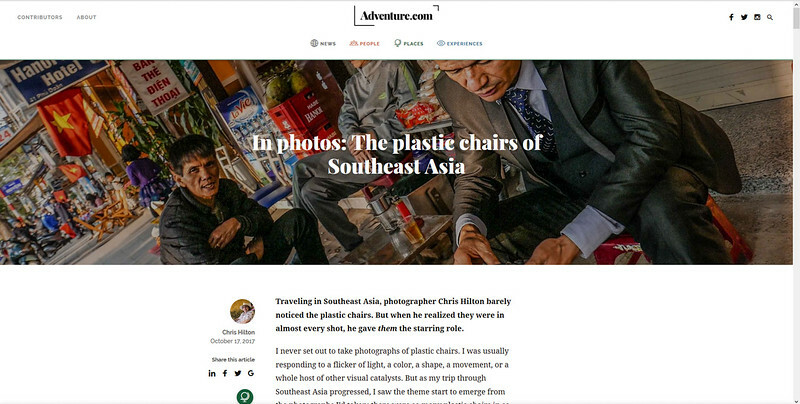 Plastic Chairs of South East Asia was published as an article by the adventure travel website adventure.com. As part of their brief they required lengthy captions for each image so the style of the article ended up being very different, albeit equally enjoyable, from the original book which can still be purchased on eBay. 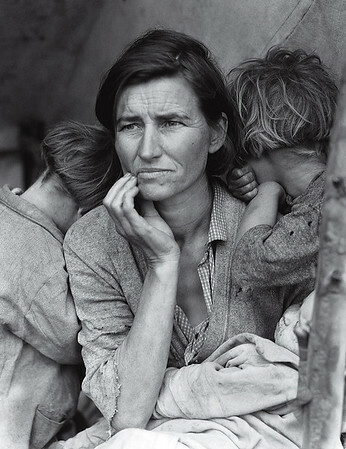 Migrant Mother by Dorothea Lange is used to tell of the collaboration between photographers and the author John Steinbeck during the catastrophe that was the Great Depression. What's in a Definition? And does it really matter that certain quarters seem hell bent on pigeonholing the work that we do? On a certain level ... perhaps not, but then again, some of those rules that are used to define a certain genre can be quite restrictive. 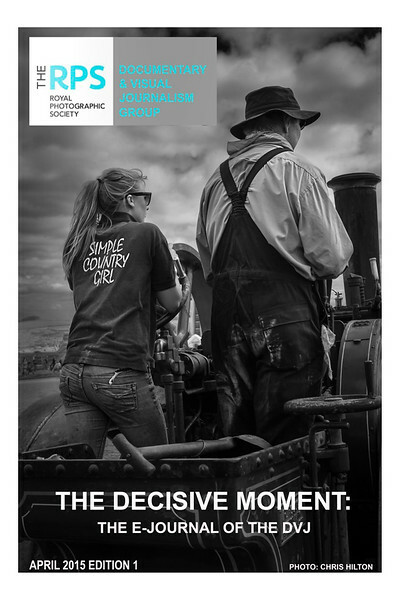 This article was printed in 'The Decisive Moment', the magazine published by the Documentary Group at the Royal Photographic Society. I confess that I was particularly pleased to see my image on the front cover. Tales of the Road ... Another article in 'The Decisive Moment' (magazine of the Royal Photographic Society's Documentary Group). It documents the birth of a project looking at lines. 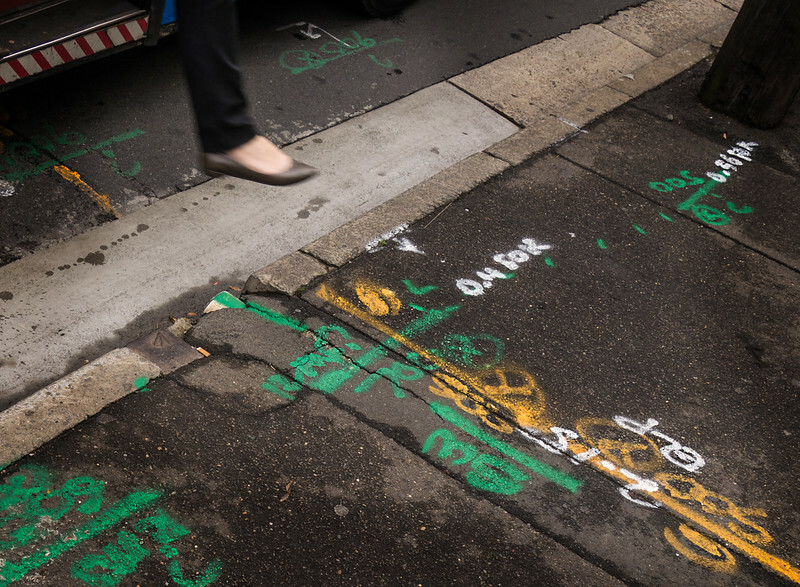 The project started with this image that I took in Sydney, Australia, it's a bit of an homage to Dorothea Lange's photograph 'Man Stepping off a Cable Car'. To Photoshop or not to Photoshop? 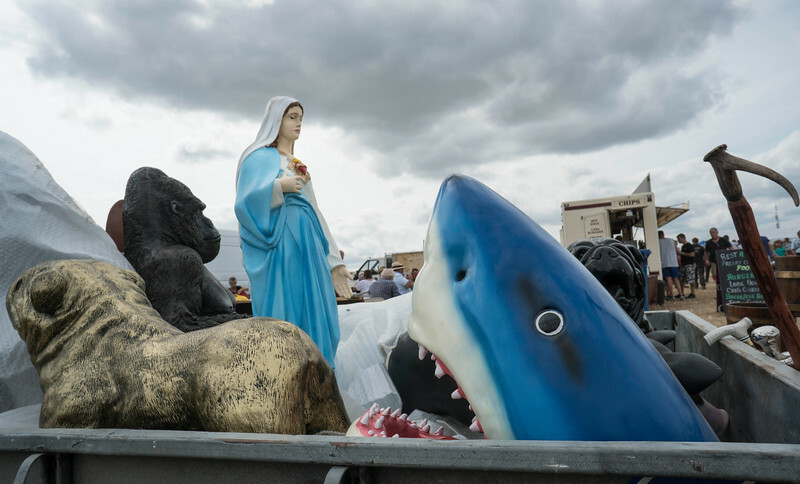 That is the question … The Sports category of the 2015 World Press Photo Competition was mired in controversy when it announced that awards were only to be made for first and second instead of the usual three. All other images that made it through to last round were subsequently disqualified for ‘excessive manipulation’. In fact twenty per cent of images across all categories that made it through to the penultimate round were thrown out for the same reason. This essay arose out of "Whats in a Definition" ... the thing is that although I'd submitted that article for publication, I hadn't stopped thinking about it so I carried on writing ... this is the result.